Hooray, my craft idea actually worked out this time! So, it with great pride that I give you the chalkboard name tag tutorial, fun and eco-friendly. Now, I just need a good excuse to use them. Craft party anyone? 1. Paint wood disks ( 4-5 coats). Let dry overnight. 2. 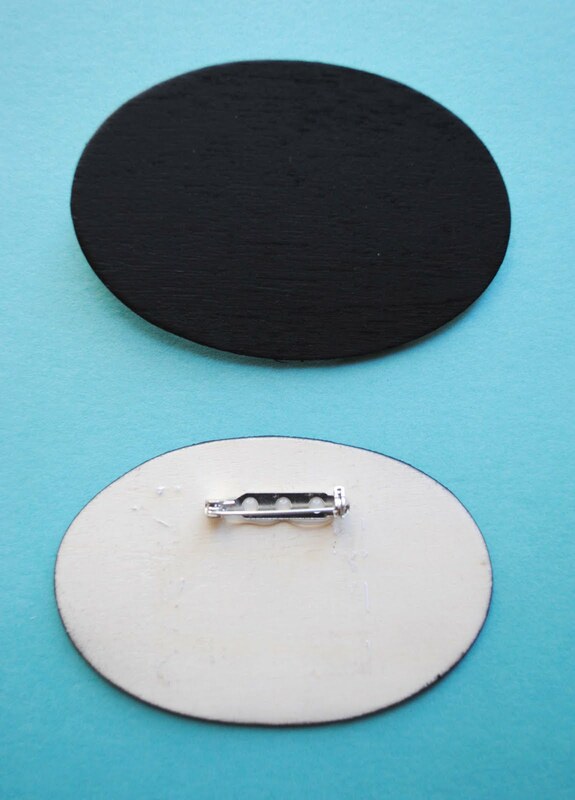 Glue on pin backs. Done. A sewing friend of mine made herself a quilted name tag. It's like a mini-album about her and probably helps people remember her better. 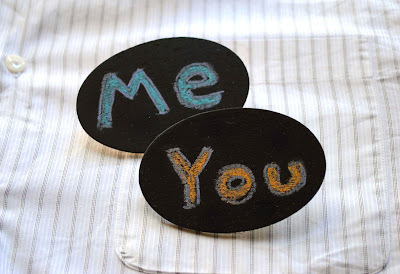 Yours and hers are much better than my scrawl across those "Hi, my name is ____" ones. I bet it's a great conversation starter too. Does your friend sell quilts? Lovely idea. I like that it is such a quick make and is definitely a little different. I think this might be a good idea for our next women's retreat! In fact, I have 50 buttons (with pin backs attached) which advertise the King Tut exhibit. I wonder if chalkboard paint would work on that plasticy metal. I see I will have to do some experimenting. 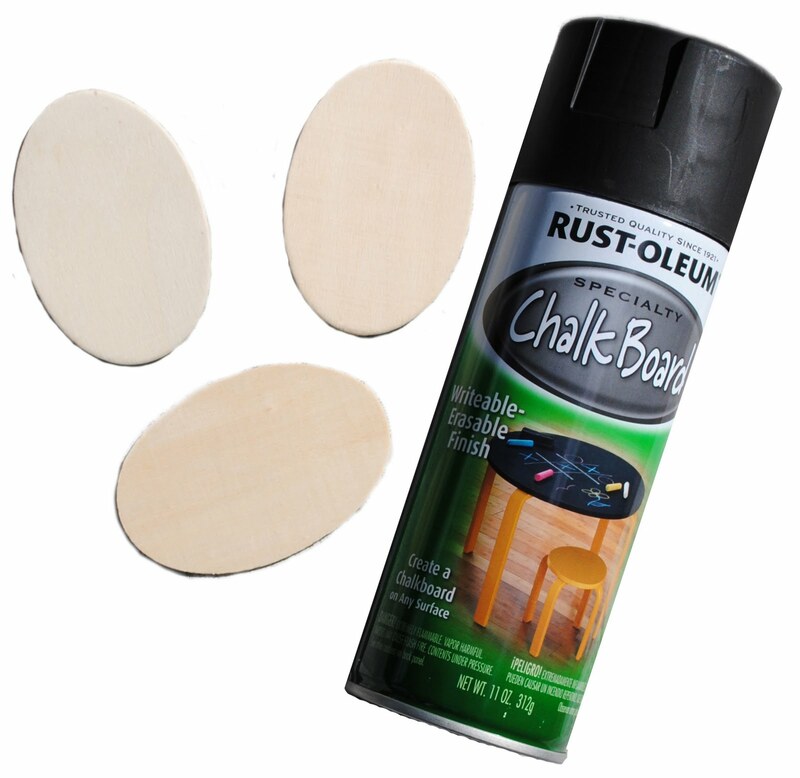 The paint I used says it works on any surface so I'm sure it will work on the pins you have. Completely agree with Carla!! These are sooo much nicer than those Hi My Name is. 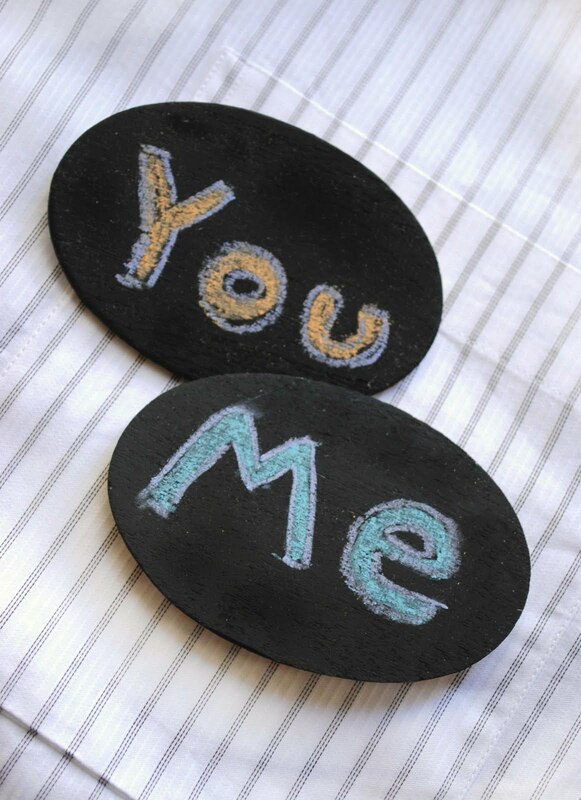 Wonderful project and great use for those wooden disks. I didn't know there is something called 'chalkboard paint'. I always thought chalkboard comes in one piece board type. I will search for it in my area. Thanks. Neato! And these would be reusable for multiple events. Love the idea to use them over and over. They are so cute! Also, I love tiny tutorials and yours was the tiniest ever! No, she doesn't sell them but she enters them in contests and custom designs them for her blessed family members. She's also an artist.